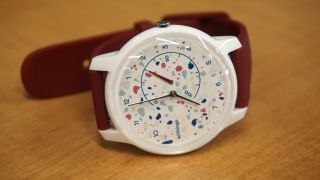 Originally unveiled back in January at CES 2019, the Withings Move hybrid watch is now on sale for those in the UK. If you live in the US you'll be able to buy it from April 3, while those in Australia haven't been given a specific release date yet. The new watch is a basic fitness tracker, which we gave 3.5 stars in our full review, praising it for its 18-month battery life and subtle design. It's the most affordable Withings hybrid so far starting at $69.95 / £59.95 (around AU$110). One of the main highlights of the watch is you can create your own design of the watch on the official Withings website. You can choose your own dial with 13 options to choose from as well as change the color of case, the hands on the tracker and the type of strap too. Currently this feature is only available in the UK though, but Withings does plan to bring customization to the US in the future too. If you're planning to buy the watch in the US earlier than that you'll be able to get it in five different colors. If you like the black watch face, you can get it with a black or mint green strap. If you prefer the white watch face, you have the choice of a mint green, blue or coral for the strap.